Posted December 3, 2016 by William Martin & filed under Galleries. 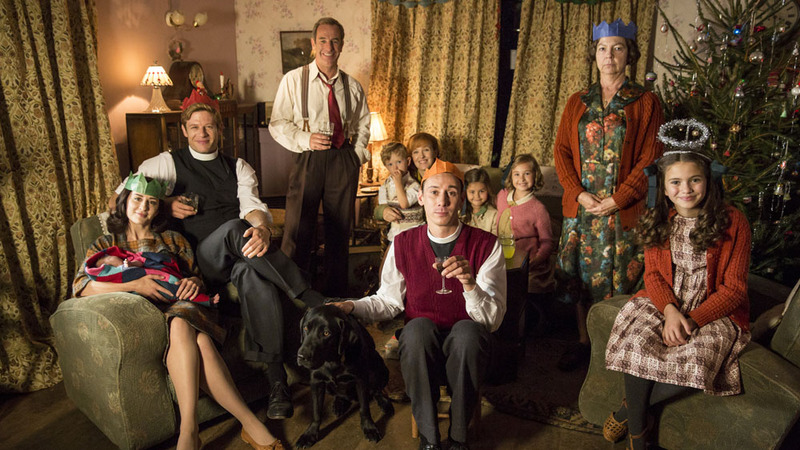 The first promotional pics and storyline details for next month’s festive Grantchester special have been released. James Norton and Robson Green will return as crime-fighting clergyman Sidney Chambers and Detective Inspector Geordie Keating in the 90-minute Christmas episode. The special will air at 9pm on Saturday 24 December on ITV. The official synopsis for the special reads: “It’s the week before Christmas 1954, and the forecast is for snow in the beautiful Cambridge village of Grantchester. For vicar Sidney Chambers (James Norton), this is the busiest time of the year and he is rushed off his feet with festive duties. 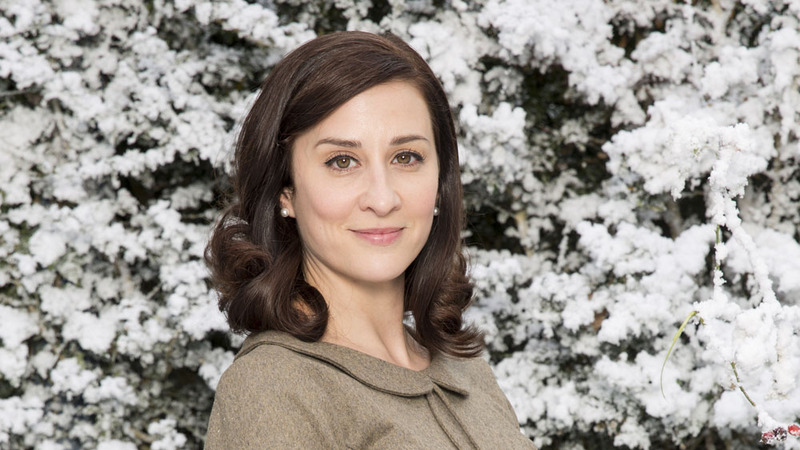 Which is useful, as it means he doesn’t have time to think about his beloved Amanda (Morven Christie), estranged from her husband and heavily pregnant, who has taken up residence nearby with her Aunt CeCe (Anna Chancellor). Sidney loves her – but whether she’s married or divorced, there is no way he can be with her. “Meanwhile curate Leonard Finch (Al Weaver) is embarking on an ambitious production of the nativity with the local children, and Detective Inspector Geordie Keating (Robson Green) is grumpy at the festive spirit – all of which leaves Sidney happy to bury himself in his pastoral work. “Which is when a weeping bride reports the disappearance of her husband-to-be, and Sidney and Geordie find themselves drawn into picking through the murky motives of a winter wedding. When the would-be groom turns up dead with the wedding rings lodged in his mouth, Geordie is horrified – it has all the hallmarks of an unsolved murder from nine years before. “Geordie’s prime suspect back then was local toyshop owner Albert Tannen (Julian Glover). While nothing was ever proved, creepy tales and gossip have turned his once-lively business – and personality – into a twisted shadow of its former self. Based on The Grantchester Mysteries by James Runcie and adapted by writer Daisy Coulam, Grantchester launched in October 2014 and Season 2 concluded in April. The third season of Grantchester began filming this summer in Grantchester, Cambridge and London and will air on ITV in 2017. Doctor Who actor Peter Davison, who played the Fifth Doctor, will guest star in the new season as Geoff Towler; the village solicitor and captain of the cricket team.